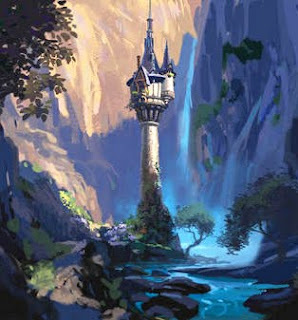 For the majority of my life, I was trapped in a tall castle in a hidden glade. I was told what to believe and who to be and I accepted it all because I knew no different and I knew it made others happy. But there came a point in my life where that was no longer good enough for me. I needed to get out of this castle I was born in....I needed to be free, to experience the world without being trapped in this biological and societal shell. Despite those around me forbidding me to leave, forbidding me to begin on this new journey, I set out anyway, on my own. I met many new people and was amazed at how much better life could be and they were amazed at who I was and couldn’t believe who I had been was ever real. Many of them could relate to my dreams and it gave them hope to follow their own dreams. Everyday, life got even better. There were times where things just clicked and everything that had ever happened to me or NOT happened to me just suddenly made sense.....like seeing the shining lights of your birthright on your birthday. I compared myself to others my age and found that I was sometimes making up for lost time, frolicking around, smiling big, a picture of girlish innocence. But before all of this came to fruition, I fell into a trap, laid by my parents and the people I called “friend” at church. Their raised voices interpreting verses in such a way that they burned scorches into my skin. They begged me once again to come home to the tall castle in the glade where nobody could see me for who I really was , where they could cherish me alone, the way they desired. I found myself following along with them, now a fate worse than death.......and so I chose death. Many people came to my aid though, to save me from myself. It set me back on a path facing away from that dreaded castle I had grown up in. My horrific frowns became joyous smiles with sparkles in my eyes, the likes that nobody had ever seen before. And so it still is...today. But unlike Rapunzel, my captors were also my true and biological parents. While she got to embrace a new life with her parents once more, I find myself waiting for the day when I can come home, the long lost daughter that my parents never knew but do want to know. When I can feel the warmth of both of their embraces, crying tears of joy, the many years of separation completely made up for by love and forgiveness. I had not connected the castle tower/prison as before coming out to ourselves but it is extremely apt for our former lives. We lived as best we knew how and according to those around us whom we loved and still love because we did not know better and only wanted to make our loved ones happy. But, like Rapunzel, we climbed down on our own because he _had_ to. We faced the uncertainties of this new world and found different answers than what we had been living. Very, very vivid analogy! Maybe it's you who are in the kingdom and your parents are in the tower. They want to isolate themselves from what is actually happening in the world. 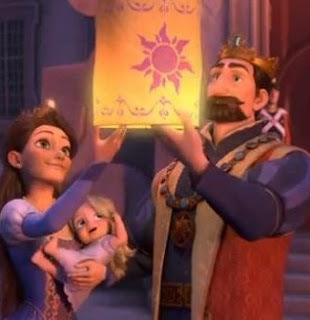 Hopefully they can come home to your kingdom, all you need to do is keep shining the lights for them! Happy New Year! I love this. 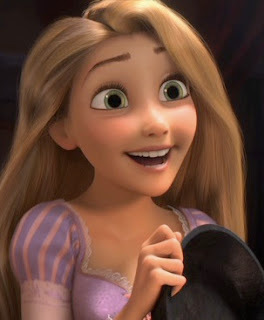 I need to see tangled.